Bay Area Mattress Outlet is San Jose and Silicon Valley’s best spot for great mattress brands at great prices every day without the usual sales gimmicks and pushy salespeople. Not your typical mattress store, Bay Area Mattress Outlet puts you at ease right when you walk through the door. With laid-back service from knowledgeable professionals and fantastic quality options from top name brands, you’ll walk out the door with a great deal you’ll be bragging to your neighbors about! 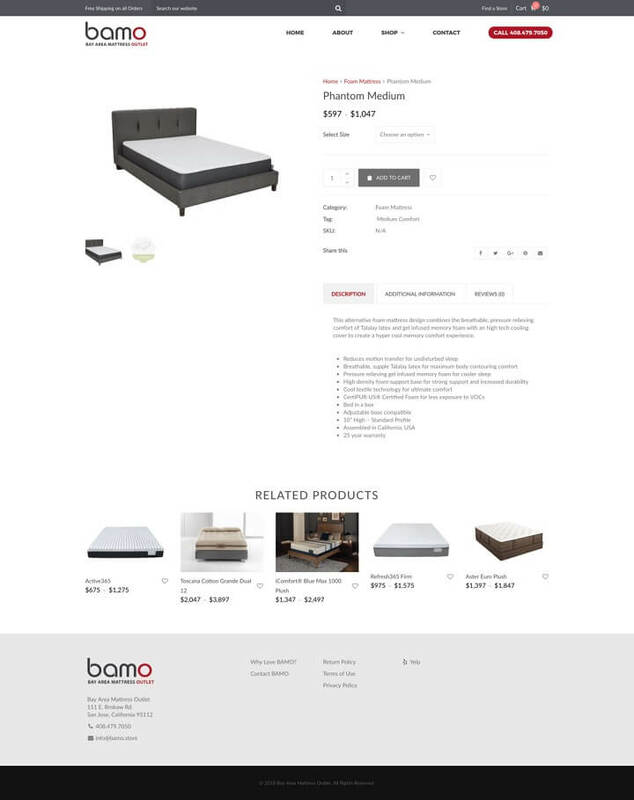 We’ve taken the time to curate a selection of today’s most popular mattress styles, so you can try everything from traditional spring mattress designs to newer alternatives like foam mattresses, hybrid mattresses, latex mattresses, and natural mattresses. We even have many of the popular online brands on display for you to try and compare. Bay Area Mattress Outlet. For those in the know, it’s gotta’ be BAMO!